Here at Willow Valley we have great practice facilities! Practicing helps improve upon weak areas of your game. Head out and practice throughout the week or before your round. Our driving range features a bentgrass tee deck along with a variety of target greens. We also have a great chipping area as well as a large practice putting green. Our facilities are well maintained and are also easily accessible from the parking lot. Aim and alignment are easy to work on at our practice facilities. If you are struggling with your aim, it might also be a good idea to pick up an alignment stick for practice. Alignment sticks are narrow sticks that you place on the ground to use as a visual aid to help align your body and face your club at the target properly. Since they're so slim and lightweight they easily fit in your bag, making it easy to carry them around. Alignment sticks are very easy to use, and will definitely help improve your aim. 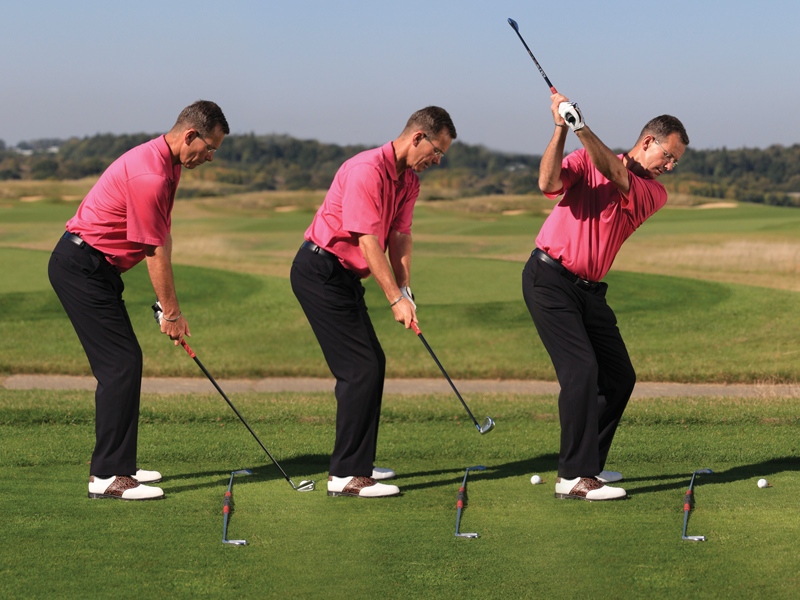 Proper alignment will ensure that your club is facing towards the target. If you don't want to pick up an alignment stick, a golf club should do the trick. The sticks are preferable as you are unable to practice with whatever club you're using in place of the stick. You may also hit the sticks in some of the practice drills. If you're using a club, you could risk damaging them. Place your alignment stick on the ground in front of your feet. Line the stick up with where you want to aim the ball. Line your feet up parallel to the stick. By lining your feet up with the stick you are now aiming your body in the right direction. Place your ball on the other side of the stick a normal striking distance away. Swing as you normally would to hit the ball. It may feel a bit strange for the first couple of swings, but that may be because you weren't aiming properly beforehand! Head Over to the Range! 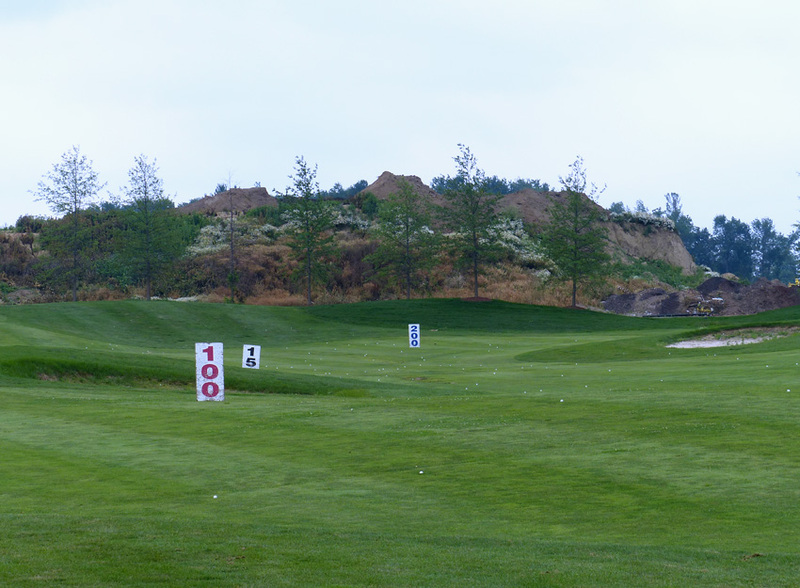 Head over to our driving range and practice green to put in some practice! There are numerous drills that you can do on both the range and the green using alignment sticks. Here is a link on different drills that you can try out to help improve your game. Try to get out and practice at least once a week regardless of if you are playing a round or not. If this isn't possible, try to show up half an hour before your round and spend a few minutes warming up. You'll be surprised at the improvements in your game! Click here to book a tee time or give the pro shop at (905)-679-2703!